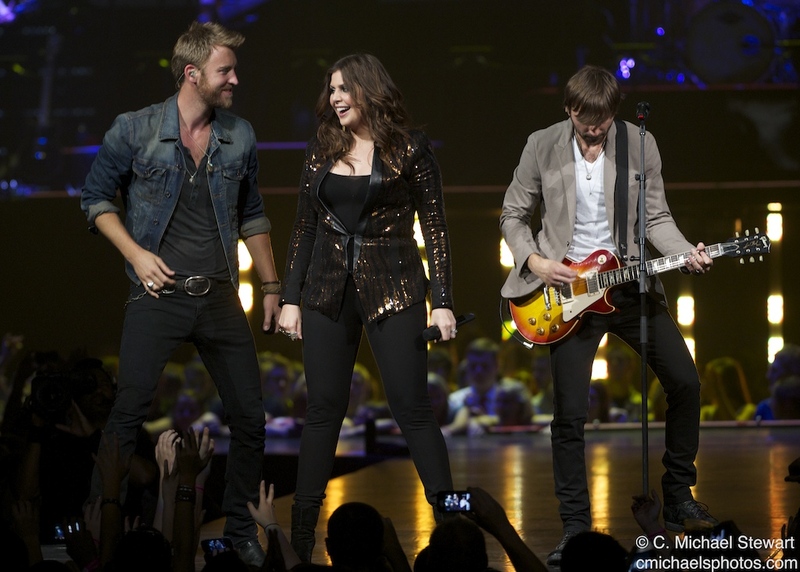 Nashville, TN – May 16, 2012 – Seven-time GRAMMY winning trio Lady Antebellum and thousands of generous fans joined together at Louisville, KY’s KFC Yum! Center tonight to raise more than $285,000 for the Henryville, IN community. All proceeds will be distributed through the New Hope/Indiana Bankers Association for the Disaster Relief Fund. 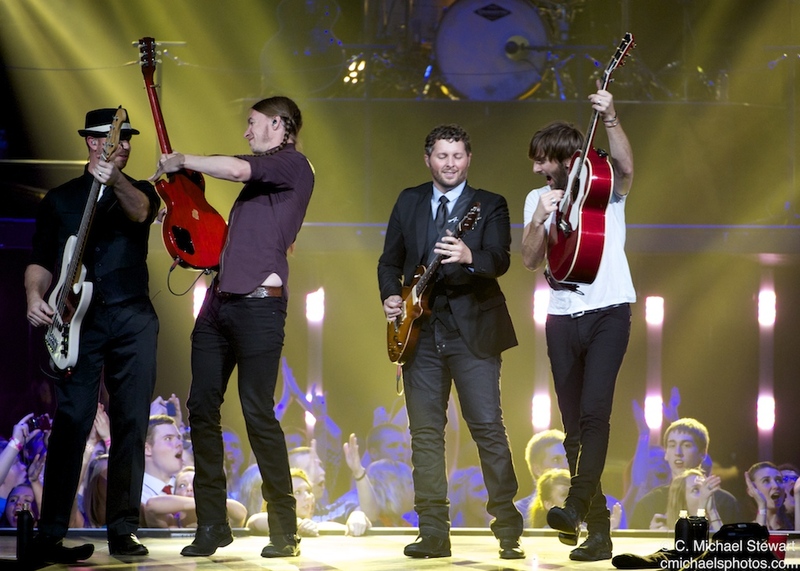 The group hosted a private prom event with Henryville High School’s Juniors and Seniors where they surprised the students a with an acoustic performance, which was followed by an arena concert open to the public. Lady A and ABC’s JuJu Chang visited Henryville High School earlier today where they toured the devastated school that is currently under construction and planning to reopen this fall. The community’s inspiring story and highlights from the day will air tomorrow on Good Morning America, World News Tonight with Diane Sawyer, Nightline, ABC Radio and on ABC affiliates across the country. Additional national and local media supporters will air special content from the event throughout the week. For more information, visit www.thegreenroompr.com. 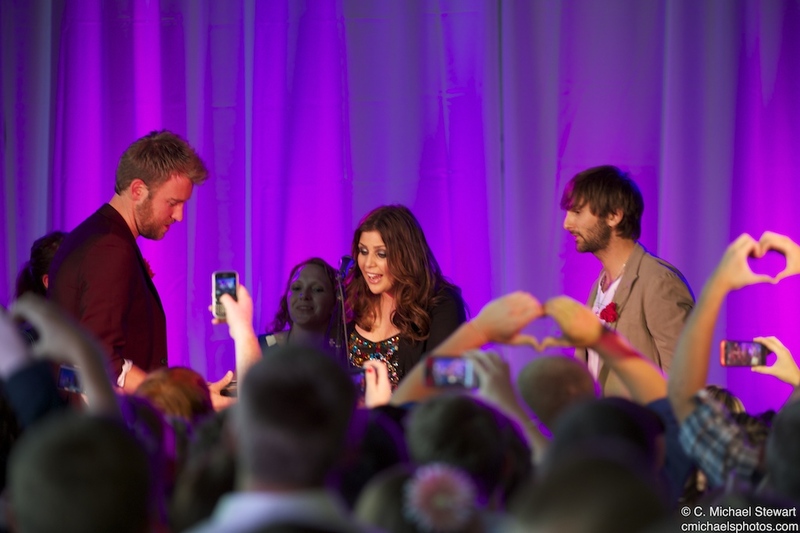 In March, Lady Antebellum began a contest offering fans a chance to OWN THE NIGHT with a private concert at their prom. The trio unanimously chose the community of Henryville, IN for their story, resilience and unity following devastating tornados. Lipton also came on board to help with the event in the spirit of their “Drink Positive” and “Live Positive” message, a campaign that Lady A already supports. Fans who weren’t able to attend the concert, but would still like to contribute towards the cause can make a donation here: http://bit.ly/ladyaprom.